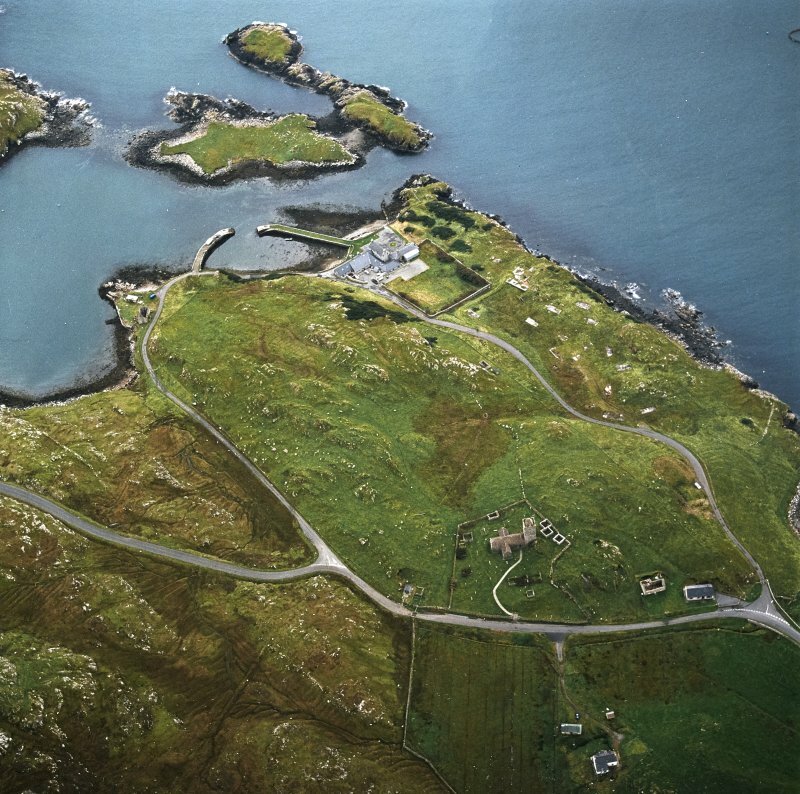 Oblique aerial view centred on the church and burial ground and the remains of the military camp with the hotel and remains of the boat nausts adjacent, taken from the NE. 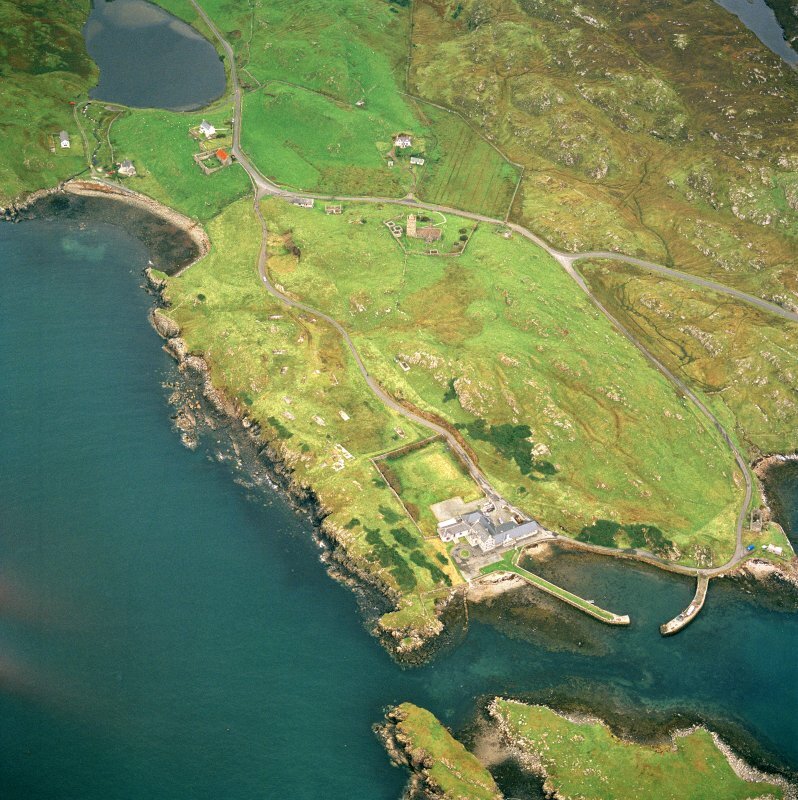 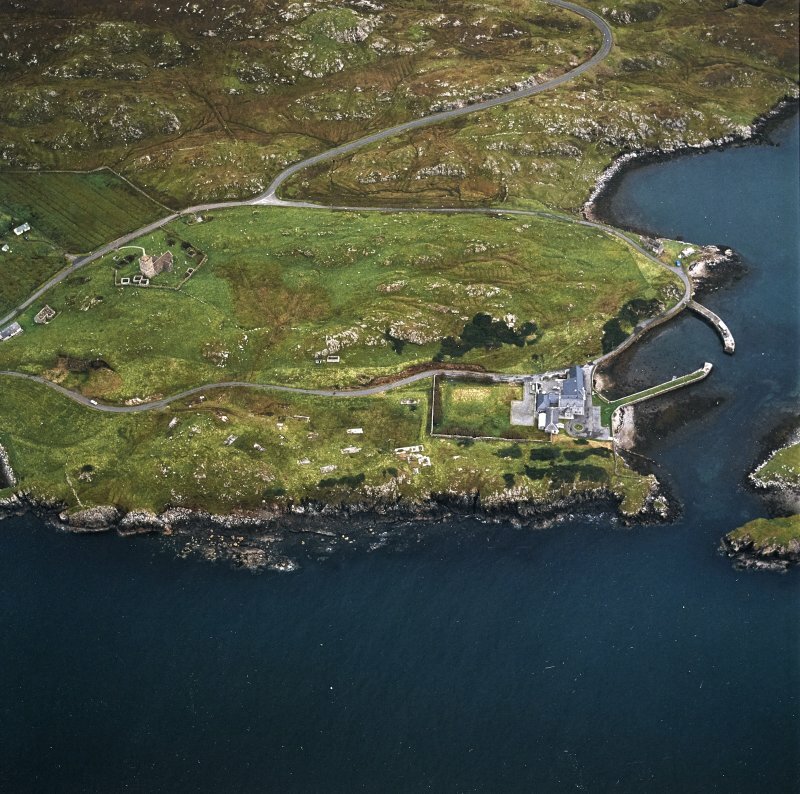 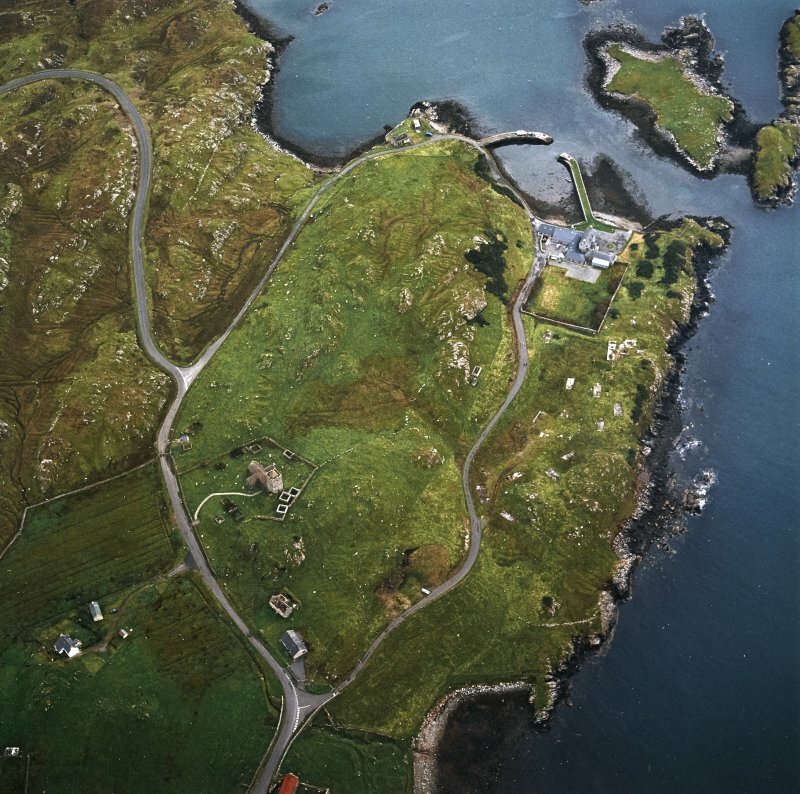 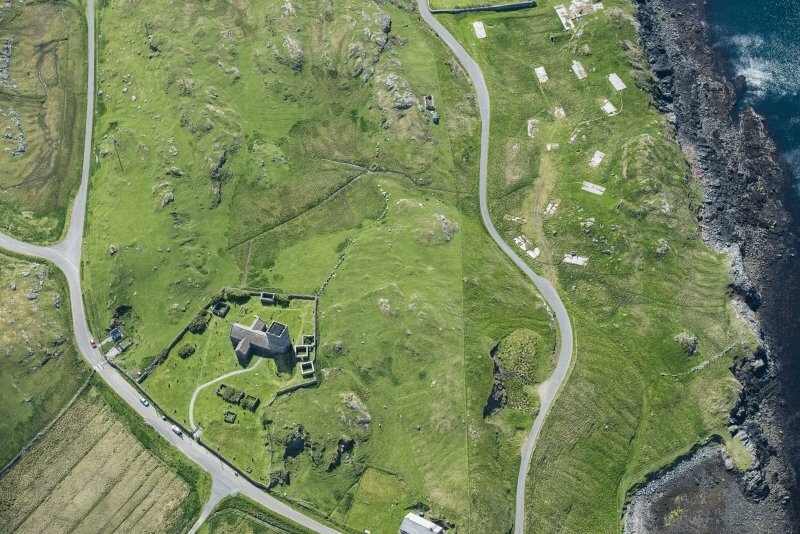 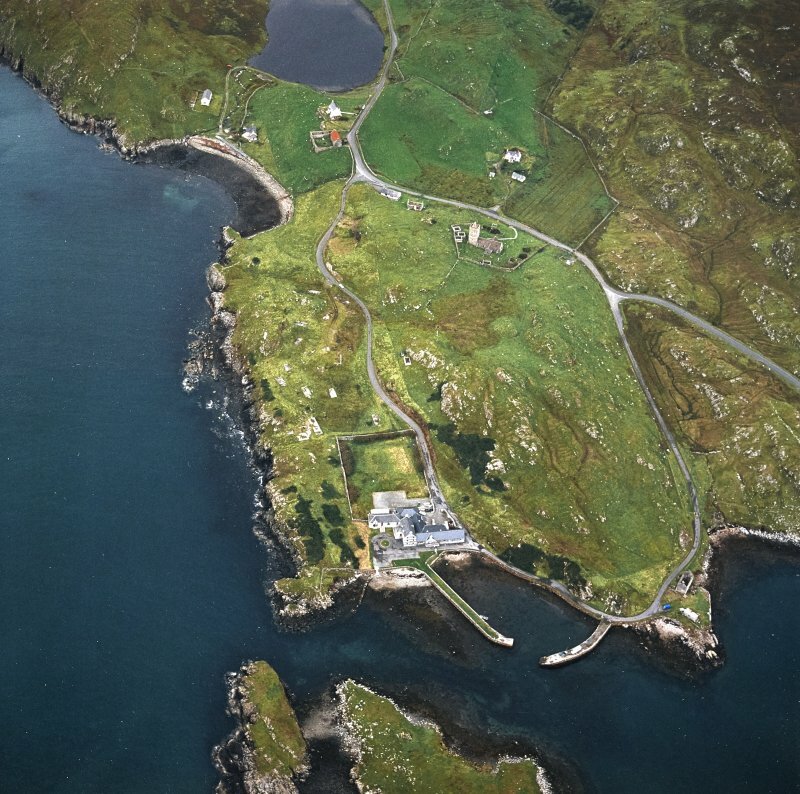 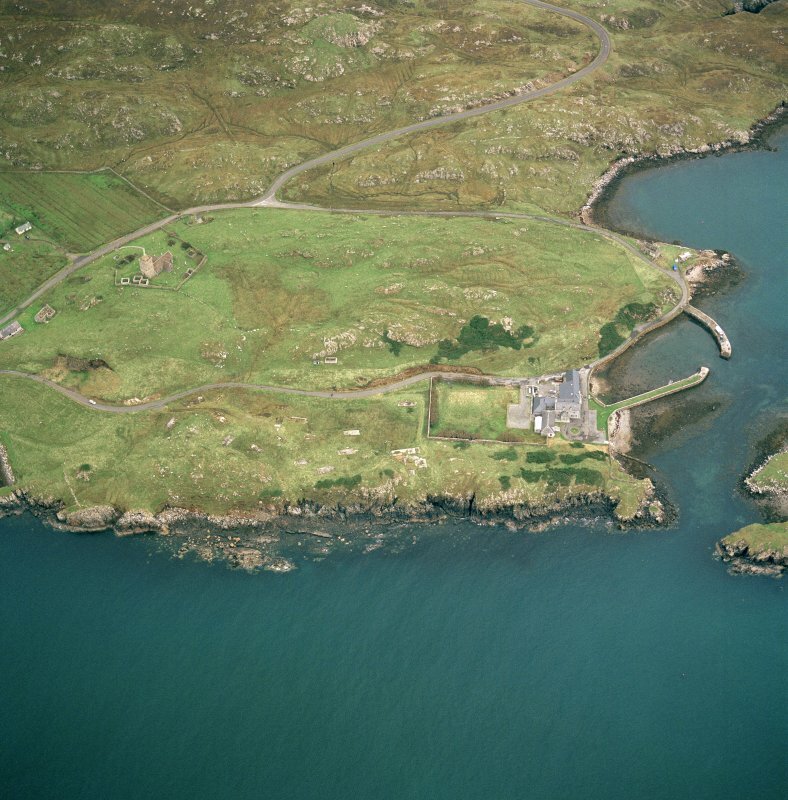 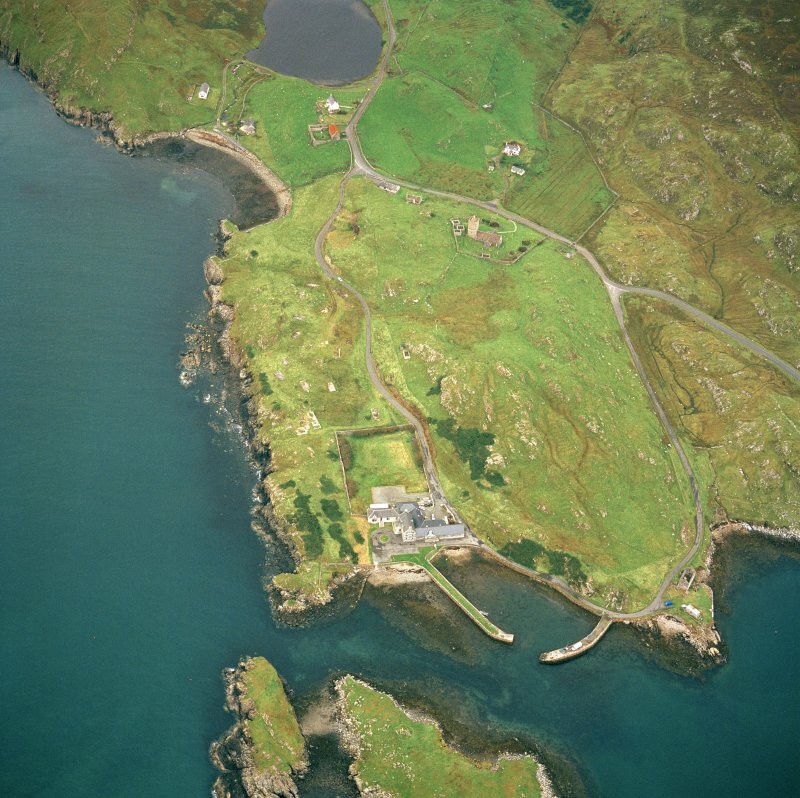 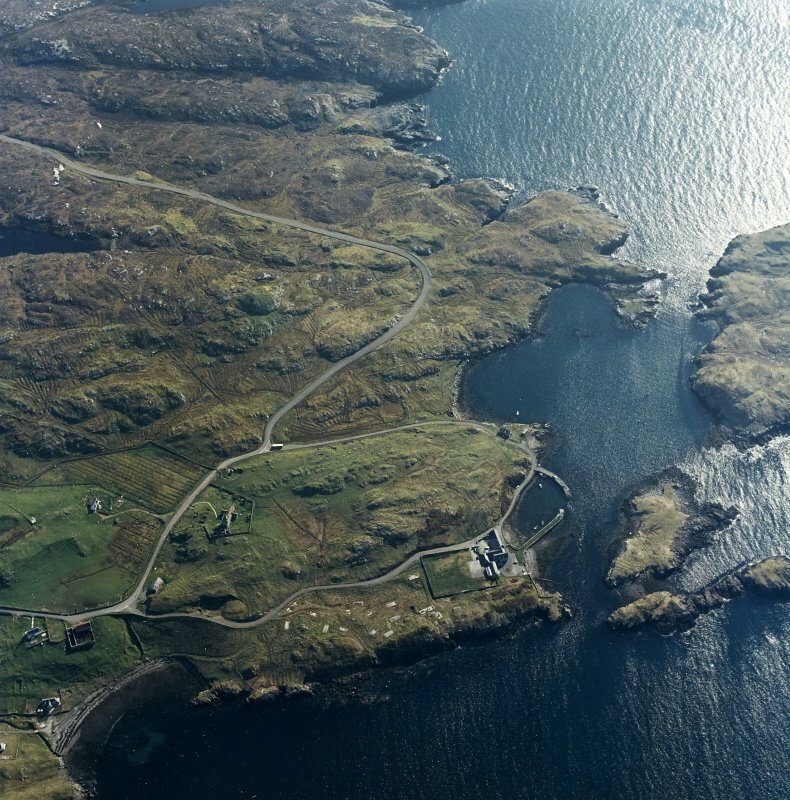 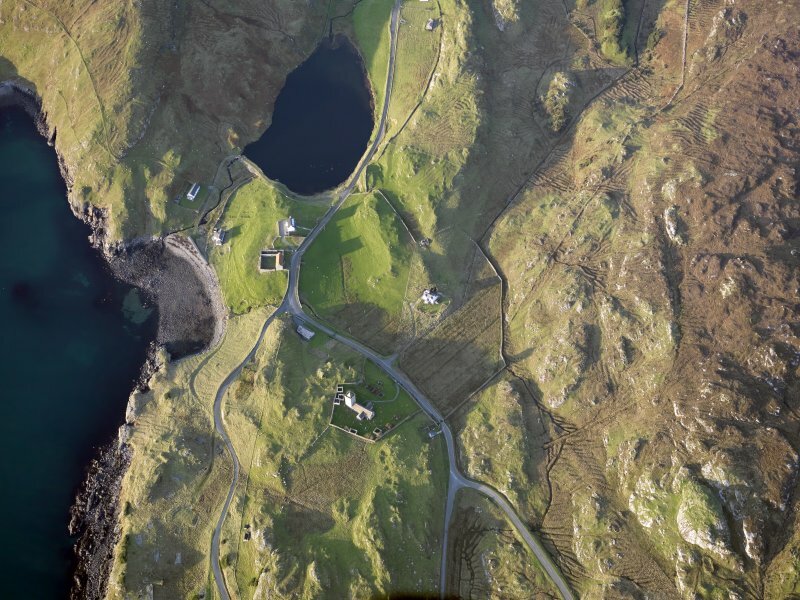 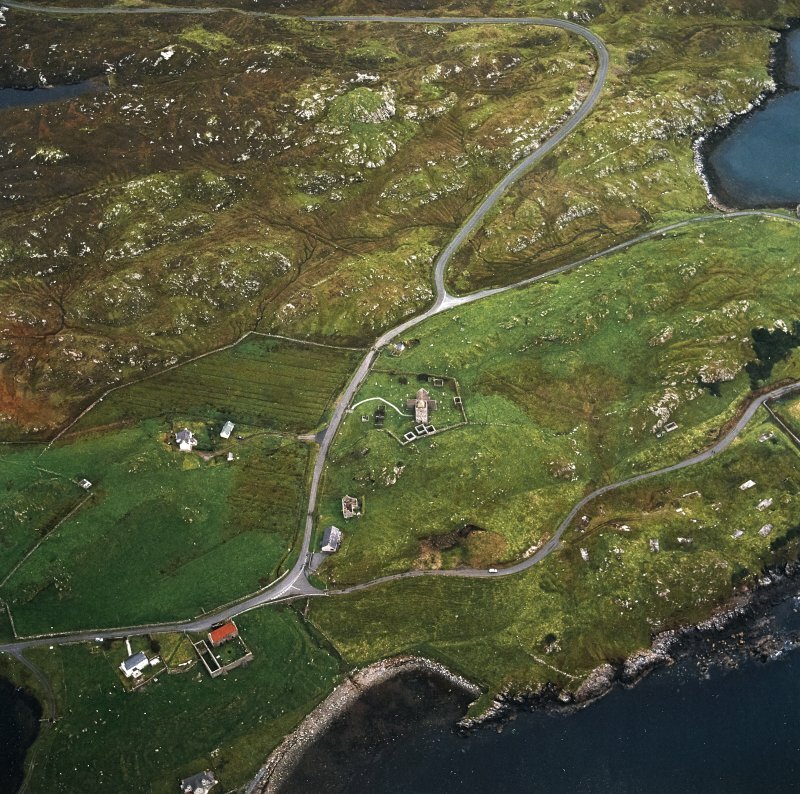 Oblique aerial view of St Clement's Church and churchyard, Rodel House, the village of Rodel and the remains of nausts, a head dyke and lazy beds, Harris, taken from the SE. 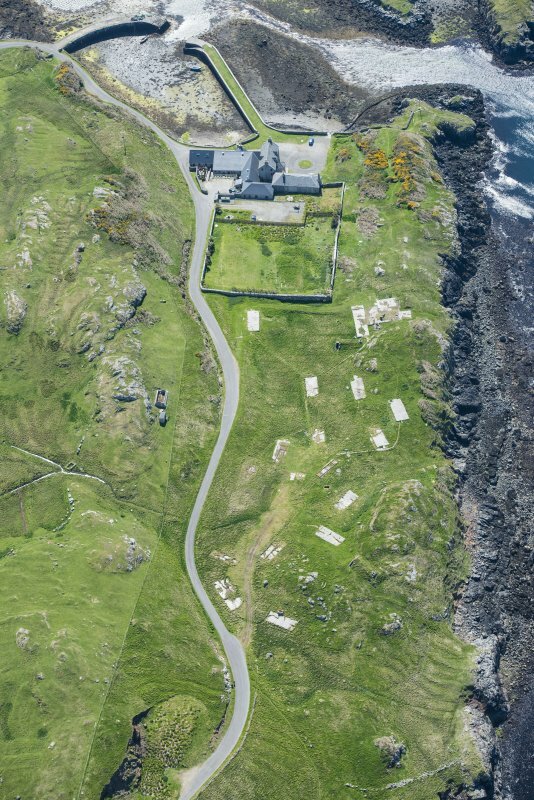 Oblique aerial view centred on the church and burial ground and the remains of the military camp with the hotel and remains of the boat nausts adjacent, taken from the E.
Oblique aerial view centred on the church and burial ground and the remains of the military camp with the hotel and remains of the boat nausts adjacent, taken from the W.
Oblique aerial view centred on the church and burial ground with the remains of the dun and military camp adjacent, taken from the W.
Oblique aerial view centred on the church and burial ground and the remains of the military camp with the hotel and remains of the boat nausts adjacent, taken from the ENE. 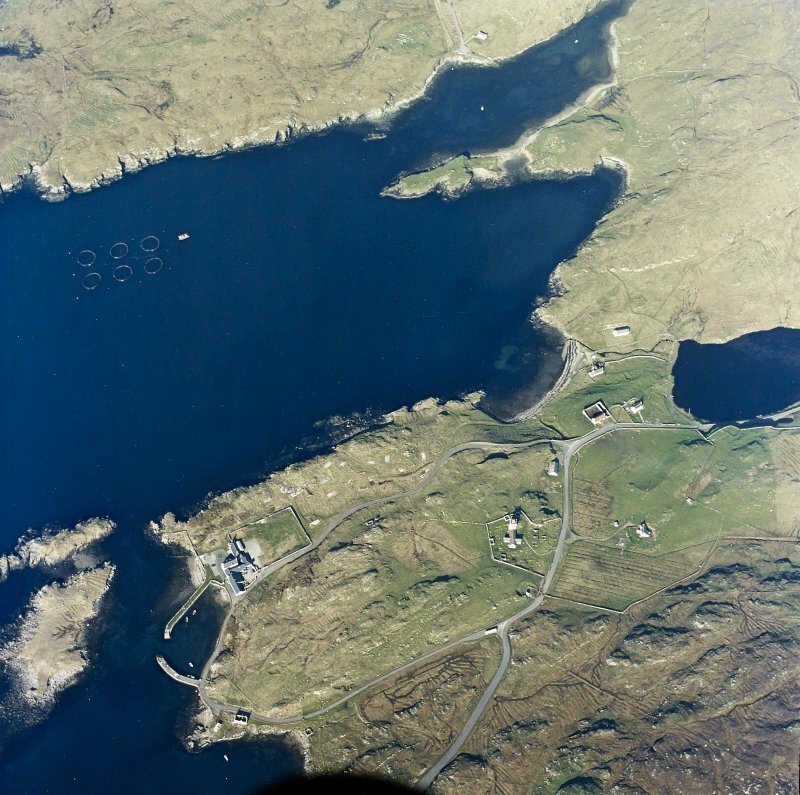 This accommodation camp for the personnel of the Radar Station (NG08SE) is situated to the SW of St Clement's Church (NG08SW 7) on the W side of the A859 road. 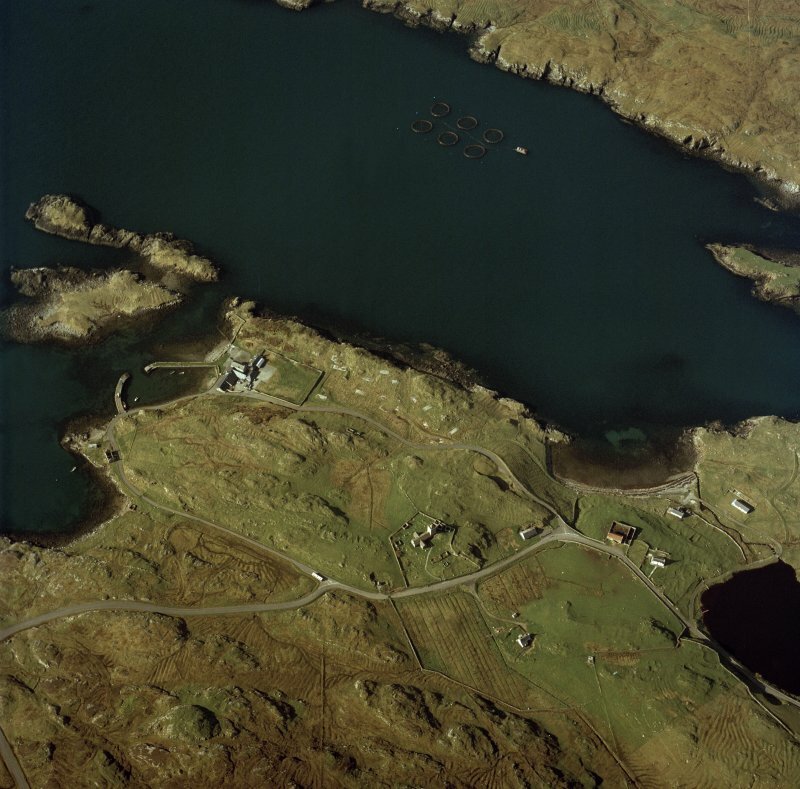 There are many hut bases still extant, a water tank and two air-raid shelters were also noted on the date of visit. 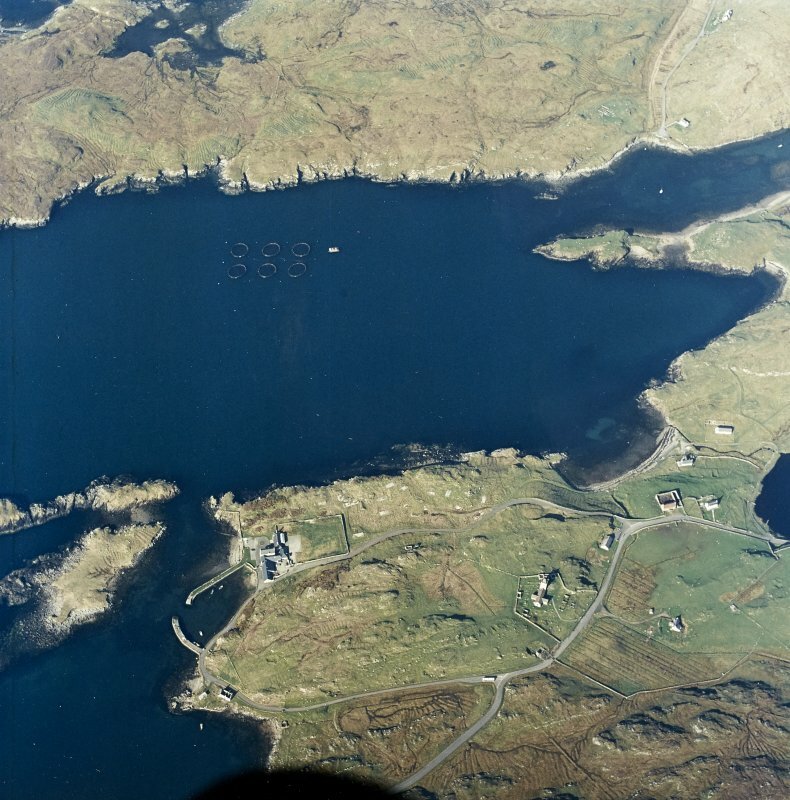 The hutted camp is visible on vertical air photographs taken in 1946 (106G/Scot/UK 104, 4180-4182, flown 19 May 1946), in an area immediately N of the walled garden of the Rodel Hotel (NG08SW 11). 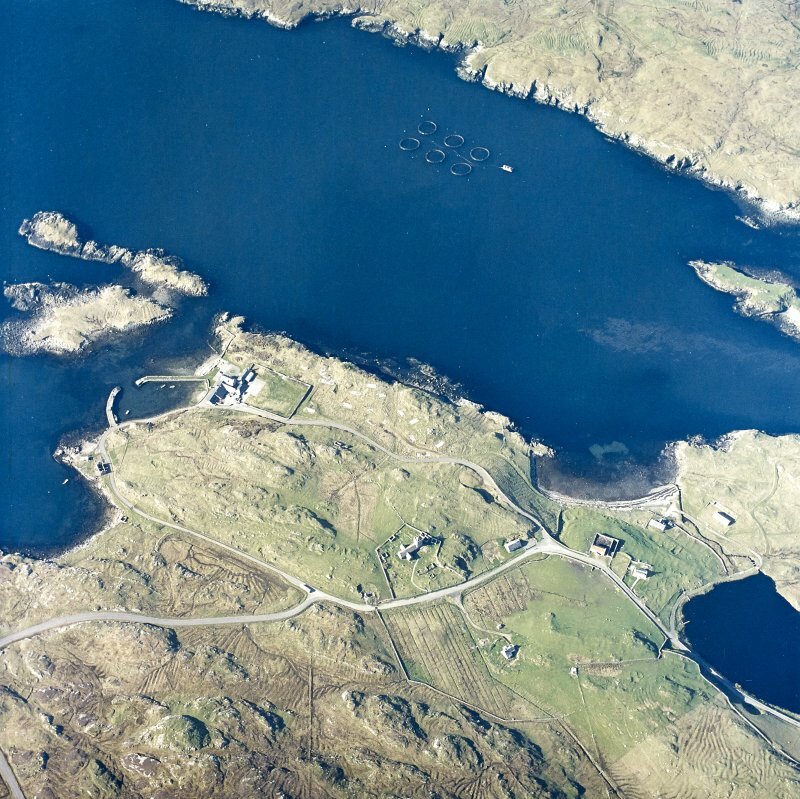 At least sixteen mainly Nissen type huts are visible, including a group of four conjoined huts forming a t-shape in plan and what is possibly an electricity generating house at NG 04672 83100. 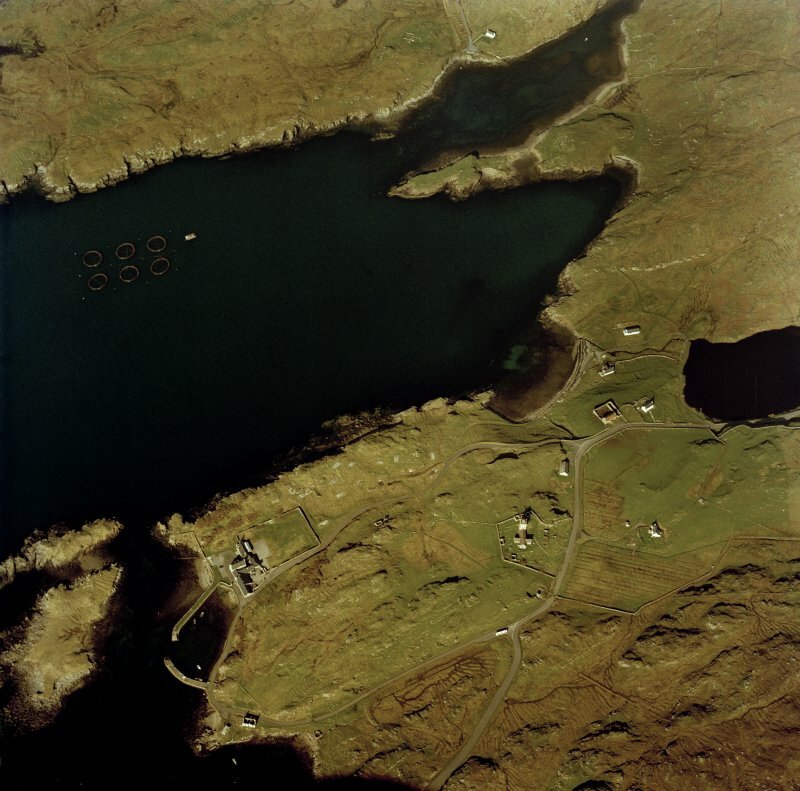 Only one hut base can be seen on the photographs. 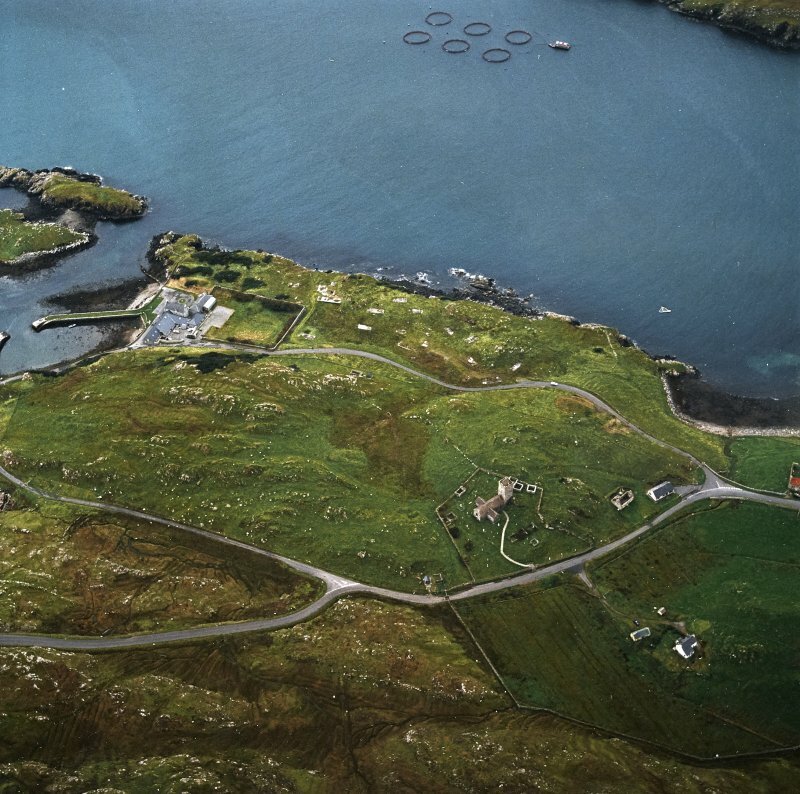 The hut bases are depicted on the current OS 1:2500 scale digital map.